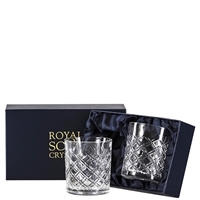 A British hand cut design with a unique twist on the traditional tartan pattern synonymous with Scotland. 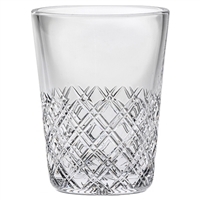 Set of 2 24% hand cut lead crystal large spirit tumbler glasses by Royal Scot Crystal, Tartan design. Presentation boxed. 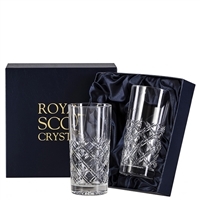 Set of 2 24% hand cut lead crystal tall high ball tumbler glasses by Royal Scot Crystal, Tartan design. Presentation boxed. Set of 2 24% hand cut lead crystal gin and tonic barrel shaped cocktail tumbler glasses by Royal Scot Crystal, Tartan design. Presentation boxed. 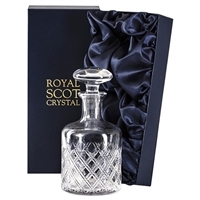 Lead crystal British hand cut round whisky brandy port spirit decanter by Royal Scot Crystal, Tartan design. Presentation boxed. 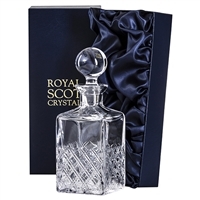 Lead crystal British hand cut traditional square whisky or spirit decanter by Royal Scot Crystal, Tartan design. Presentation boxed. 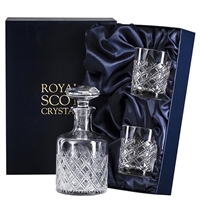 Lead crystal British hand cut traditional round whisky or spirit decanter and glasses set by Royal Scot Crystal, Tartan design. Presentation boxed. Lead crystal British hand cut traditional square whisky or spirit decanter and glasses set by Royal Scot Crystal, Tartan design. Presentation boxed. 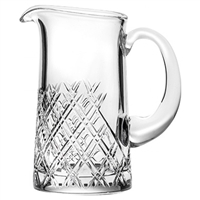 Lead crystal British hand cut traditional water for whisky jug by Royal Scot Crystal, Tartan design. Gift boxed. 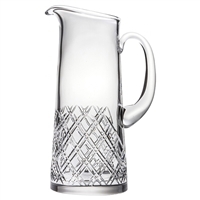 Lead crystal British hand cut traditional juice, water or cocktail jug by Royal Scot Crystal, Tartan design. Gift boxed. 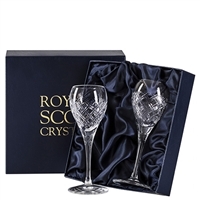 Set of 2 24% hand cut lead crystal port, sherry, liqueur or dessert wine glasses by Royal Scot Crystal. Tartan Design. 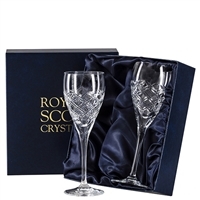 Set of 2 24% hand cut lead crystal large wine or red wine glasses by Royal Scot Crystal Tartan Design. 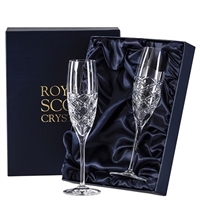 Set of 2 24% hand cut lead crystal Champagne flute glasses by Royal Scot Crystal, Tartan design. Presentation boxed. 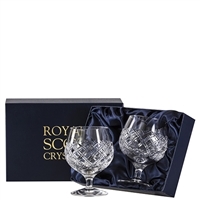 Set of 2 24% hand cut lead crystal brandy, cognac balloon glasses by Royal Scot Crystal, Tartan design. Presentation boxed. 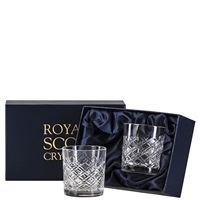 Set of 2 24% hand cut lead crystal whisky tumbler glasses by Royal Scot Crystal, Tartan design. Presentation boxed.